The GM A-bodied cars grew and got heavier too from 1968. The LeMans and downscale Tempest versions retained the OHC sixes and optional Pontiac V-8’s, which were now bored out to a GM-marketing standard 350 cubic inches. Yes, each division’s 350 cubic inch engine were their own in this era, and no parts interchanged. The top V-8 for the LeMans was a 320-hp version of Pontiac’s 350, except for station wagons. Nobody at Pontiac apparently realized the potential of having a near-GTO performance wagon for families. Pontiac certainly covered all the other bases for performance in this era of straight line speed, though. By 1970, even the Tempest and LeMans could be had with Pontiac’s 400 cubic inch V-8’s with up to a 345 hp. Speed was king, and Pontiac was often on the top of the hill knocking off all comers. 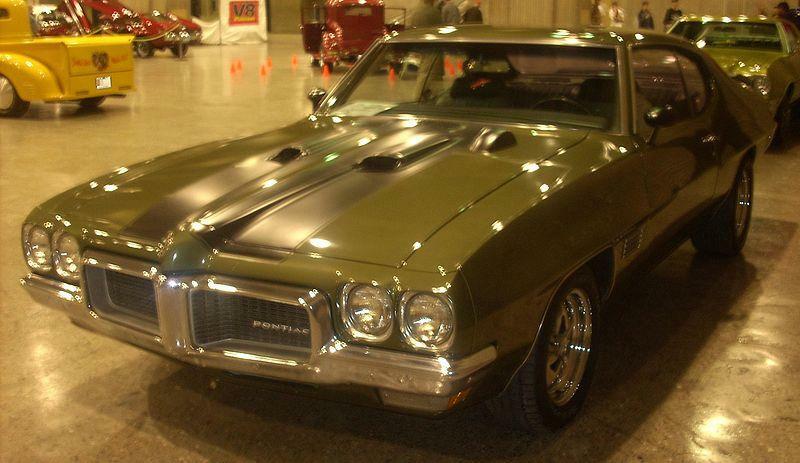 By 1971, a 455 cubic inch with 335 hp was optional, and the GTO was once again demoted to option status. Emissions equipment and lowered compression ratios started to take a toll on the engine power of all manufacturers, and insurance companies looking at huge losses incurred by youthful drivers in nearly 400 hp cars started to claw back losses by penalizing those most likely to have accidents with onerous rate increases. By 1972, the huge 455 Pontiac V-8 could produce no more than 300 hp and the muscle car era was all but dead. In fact, Pontiac even dropped their OHC sixes and simply used Chevrolet OHV sixes for those few customers who wanted a six in their LeMans. Any of the LeMans cars from this era are highly collectible, whether or not they are cloned GTO’s.